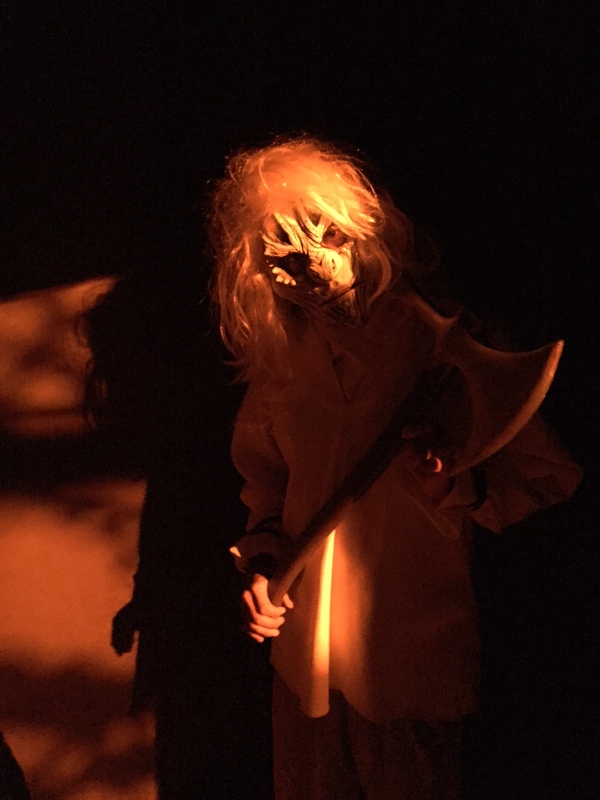 The long-time running haunted theme park attraction is back again this year with ten original mazes, two live shows and three scare zones. New mazes DEAD of WINTER and PARANORMAL INC. join updated favorites PINOCCHIO UNSTRUNG, BLACK MAGIC, VOODOO-ORDER OF THE SERPENT, TRICK OR TREAT, FOREVERMORE, THE GUNSLINGER’S GRAVE-A BLOOD MOON RISING, and Calico Ghost Mine’s MY BLOODY CLEMENTINE. In addition, laser tag experience SPECIAL OPS: INFECTED returns with a new theme: PATIENT ZERO. Ghost Town’s fog-filled Scare Zone returns with ghouls and monsters lurking about to surprise and scare you (and slide around on their knees (trust me, they WILL get you!)). The Mistress of the Dark, Elvira returns is back with her fabulous live show, ELVIRA’S ASYLUM, and THE HANGING is back to satirize and hang this year’s pop culture and political headliners. Of course, being paranormal junkies we were particularly impressed this year with new haunt PARANORMAL, INC., which puts you inside a haunted asylum to battle ghosts alongside an enthusiastic ghost-hunting team. The maze is an interactive, multi-media spoof on ghost-hunting shows and the story takes quite a few twists and turns before the shocking ending. You will want to go through this maze at least twice as there are two different routes/outcomes to this ghostly tale. 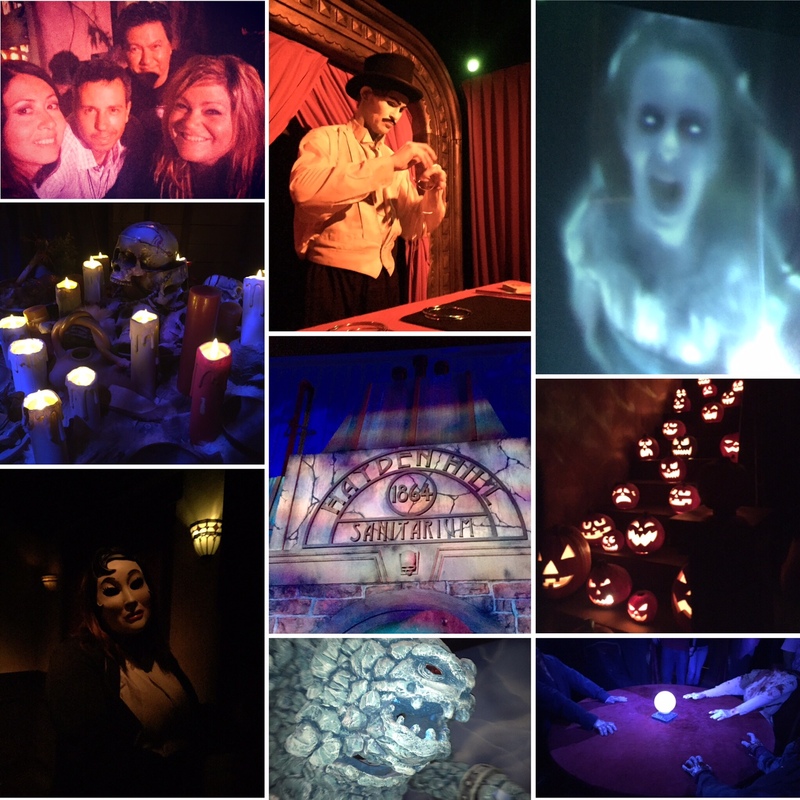 We also once again loved returning maze BLACK MAGIC, which invites you into a house of magic complete with Houdini seance (oh yeah, you know we love a seance). Returning maze TRICK OR TREAT, a spooky, Halloween-themed haunt featuring the Green Witch, is another definite favorite; and FOREVERMORE, a twisted, Edgar Allan Poe / serial killer themed maze is sure to creep you out! A scene from Paranormal, INC.
We were unable to attend the Zombie Laser Tag experience SPECIAL OPS: INFECTED due to long lines, so we definitely recommend that you get in line EARLY if you want to shoot laser beams at some walking dead! Also, make sure to take a time out from all that haunting to have a boysenberry topped funnel-cake. Knott’s IS known for their berries, after all. RATING: A+ You can’t argue with a haunt that’s been around since 1973. These guys have perfected the art of the scare!